Winner of the 2014 genre novel category of the Colorado Authors' League annual awards! 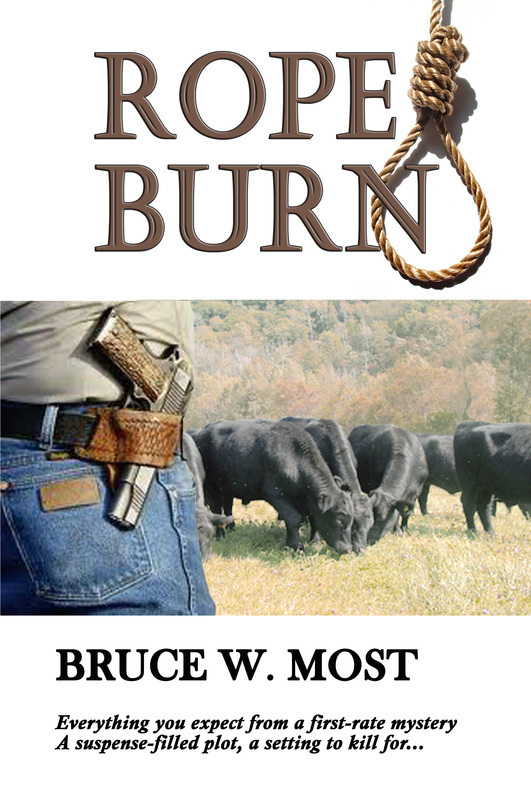 Rope Burn delivers everything you expect from a first-rate mystery: complicated, nuanced characters who step off the pages, a suspense-filled plot, and a setting—the vast, empty landscape of Wyoming—to take your breath away. With Nick DeNunzio, the ex cop from the east who finds himself chasing cattle rustlers, Bruce Most has created one of the savviest and most intriguing sleuths to come down the mystery trail in a long while.-–Margaret Coel, author of Killing Custer. "Cleanly written prose; well-plotted; a good read. 'Nuf said."